Mossie Martin – (Fiddle), is originally from near Keadue, Co. Roscommon. He learned his music from Longford fiddler, Seamus Thompson. Mossie has played extensively abroad in recent years in Australia, France and Spain. 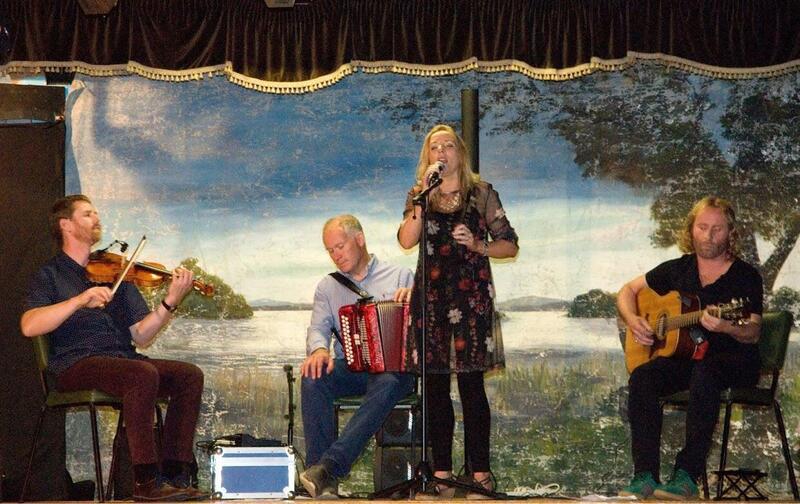 Mossie is also a member of the All Ireland winning Dartry Ceili Band. Fionnuala Maxwell is a traditional singer/songwriter from Leitrim who has won many medals for ballad singing and composing, including All Ireland level. She teaches at workshops and summer schools and has regular traditional singing classes in Carrick, Sligo and Granard. She has recorded with Eleanor Shanley and Dervish on The Leitrim Equation project and has released a CD of traditional songs of Leitrim. Sean Carroll – (Button Accordion), is from Teesan, Drumcliffe, Co. Sligo and is the older brother of well know musician Noelle Carroll. He was taught to play accordion by his father Michael, originally from Co. Leitrim who played with the well-known Leitrim Ceili Group. Sean is also a member of the All Ireland winning Dartry Ceili Band.